Keep in mind that these addresses haven't been verified or checked in any way. We're just listing them as-is when people are kind enough to submit their work to us. This community has been great throughout the entirety of this event. They tried several attempts between 19 en 22 jan, so there are a lot more adresses they own. See they attempts through my wallet adresses. P.S. i uses IOTASEED.io as suggested on reddit en iota site, but i also changed some character's at they end. So maybe i made it to easy and they used something to quess some changed characters or it was a bug in the software or a inside job....? I hope IOTA does something to compensate there first foundation of supporters en reagain there trust and built a good wallet, because i ain't coming back until they got there Sh*t back together. This is really good advice. 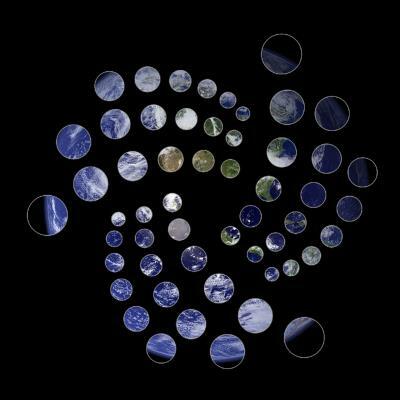 Definitely avoid IOTA until the production ready protocol is ready in 2019 or 2020 if you have trouble with the technology. I always say that it should really only be programmers and enterprise people who should even consider being involved right now. Never understand why people flow into the technology who have no clue how it works or what it does. Save yourself the headache and wait for a better UX. After a snapshot (a snapshot took place this past weekend), you have to generate the same number of addresses as had been previously used in your wallet in order to see your balance again. So, for example, if you had used 11 addresses in your wallet, then you'd need to generate 11 addresses after a snapshot to see your balance again. Your seed wasn't compromised and nobody stole your funds. Can someone explain to me, a newbie, what the goal is of us all posting addresses that received stolen MI? Can the IOTA developers force the money to be returned if we "prove" something? Can someone explain to me, a newbie, what the goal is of us all posting addresses that received stolen MI? It lets the community compile the data/info for any legal cases that you might decide to file. It also helps people to email exchanges and attempt to blacklist suspected addresses for further KYC from the exchange. Can the IOTA developers force the money to be returned if we "prove" something? No. And it's super difficult to prove anything anyway. That's completely up to law enforcement. Newbie here too. I had fund until last week and I am hoping that my fund is missing due to the recent snapshot. But, how do I check that? I don't even know what address to check at for my Light Wallet? Hey Kris, thanks for the post and welcome to the community. Go ahead and generate a handful of addresses and your balance will reappear. which seems to have been transferred to another address and have been waiting for confirmation in the tangle to transfer to a different address. Hope IOTA can stop that transfer and return the fund. I have been trying that since last night. So far I have generated almost 50 addresses and still haven't seen the fund. I am not even sure that my fund is stolen. I have been trying to move the fund to Binance for several weeks and wasn't able to get confirmation so hadn't moved. I noticed that on Jan 19th, fund was moved. So, is that a sign of fund being stolen or finally those funds got moved to my Binance? I haven't seen the fund in my Binance account though. I have seen my adress in the stolen list. Thanks. But my question is I would like to start also a legal process. Make it sense or the commudity do that for all us here?